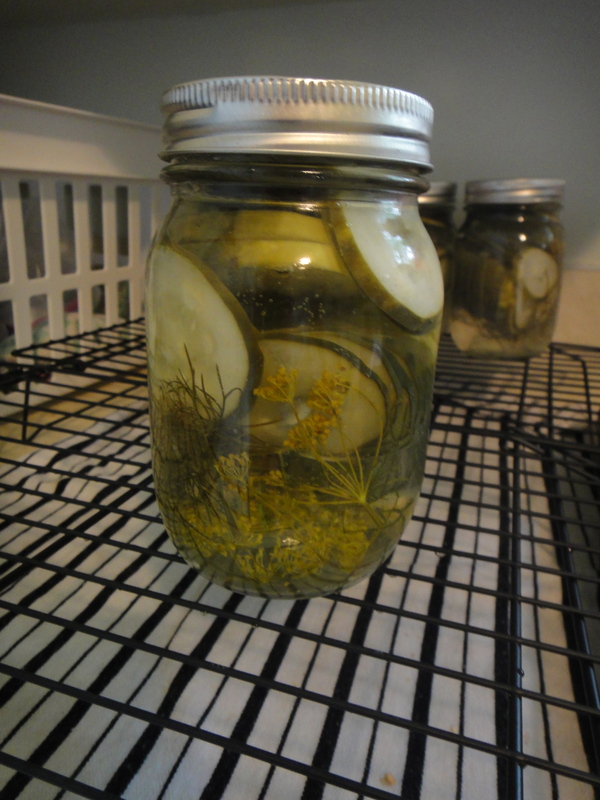 So now that we are a few weeks away from harvest, I thought I’d give you another quick garden update! Here are a few bean row. 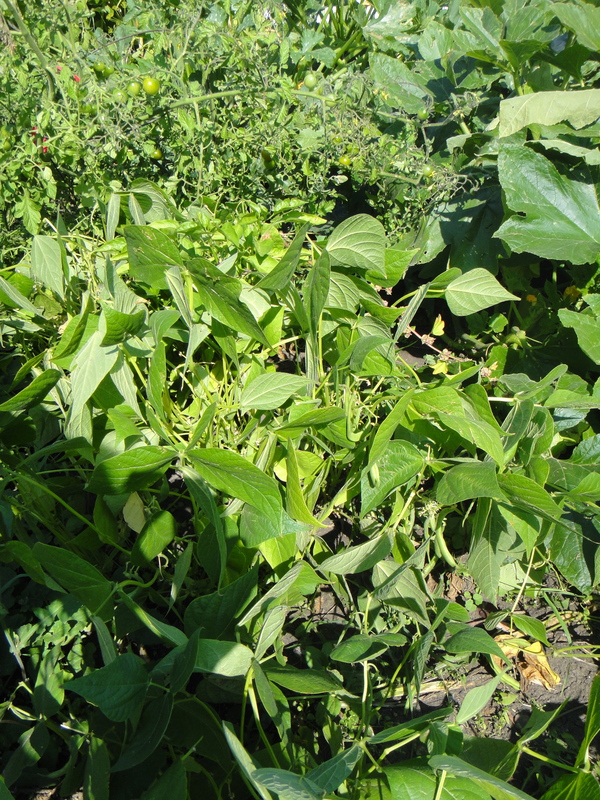 I know, it’s getting hard to differentiate between the plants, they are just looking like a big green mess! Here’s our little pepper. 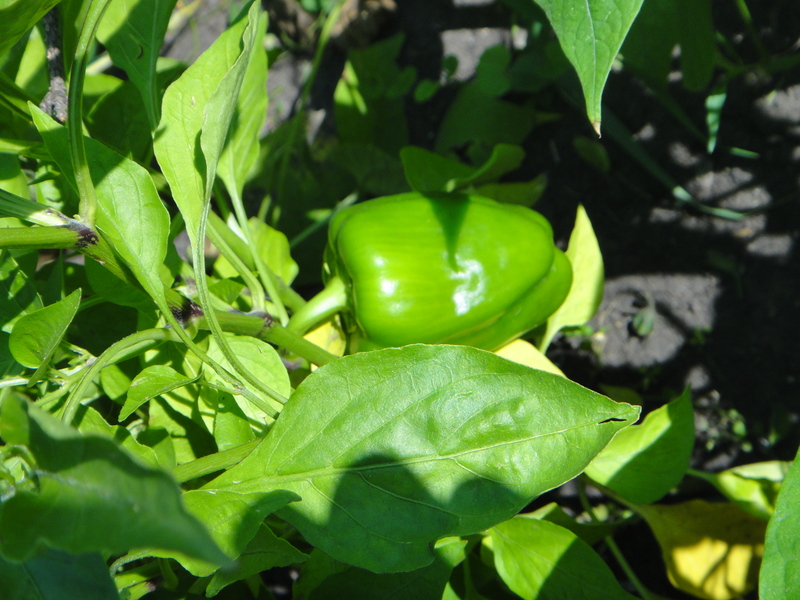 Hopefully it will turn red before the harvest! 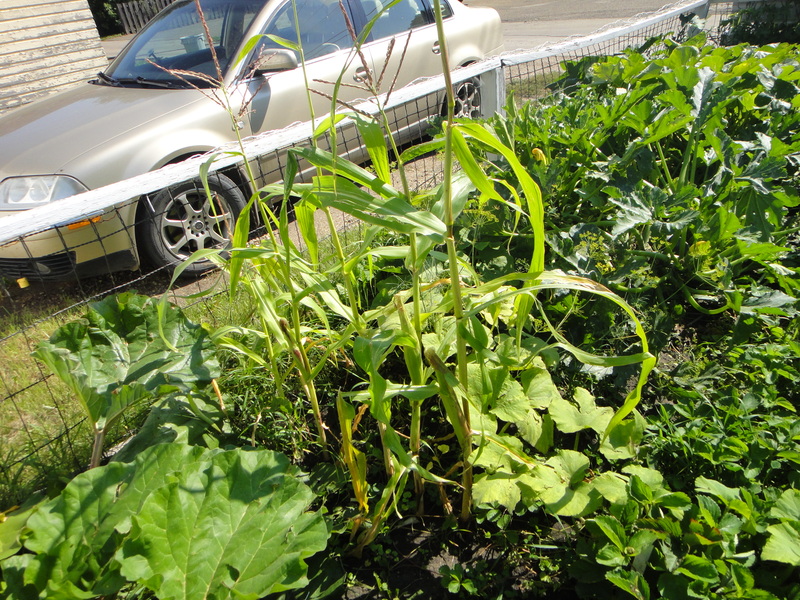 Here’s our corn! We have a few ears growing! 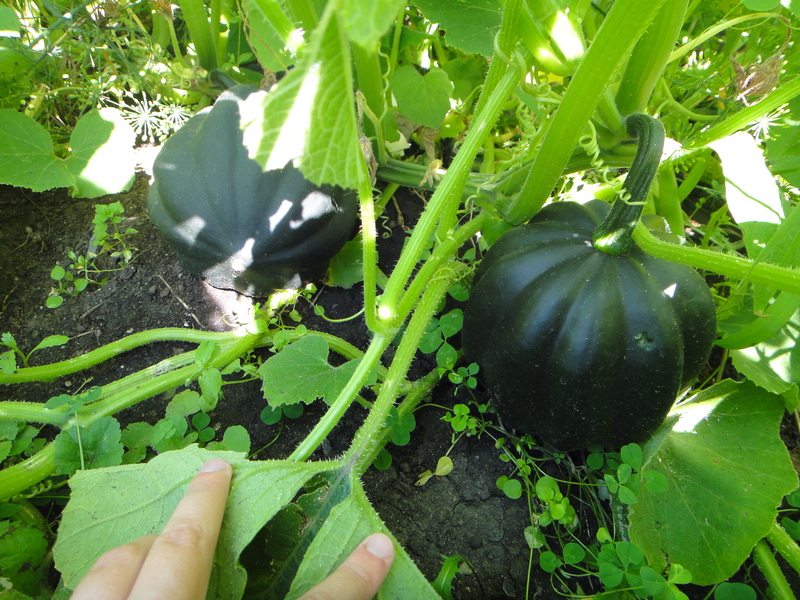 Here are the two baby butternut bulbs that I found hiding amidst the strawberry patch. I hope they grow a little more morefore harvest! 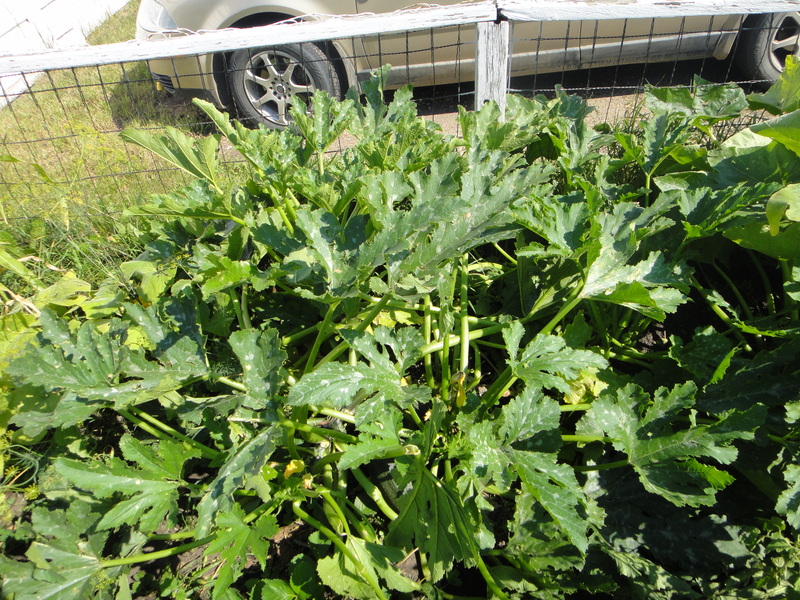 Here’s the king zucchini. 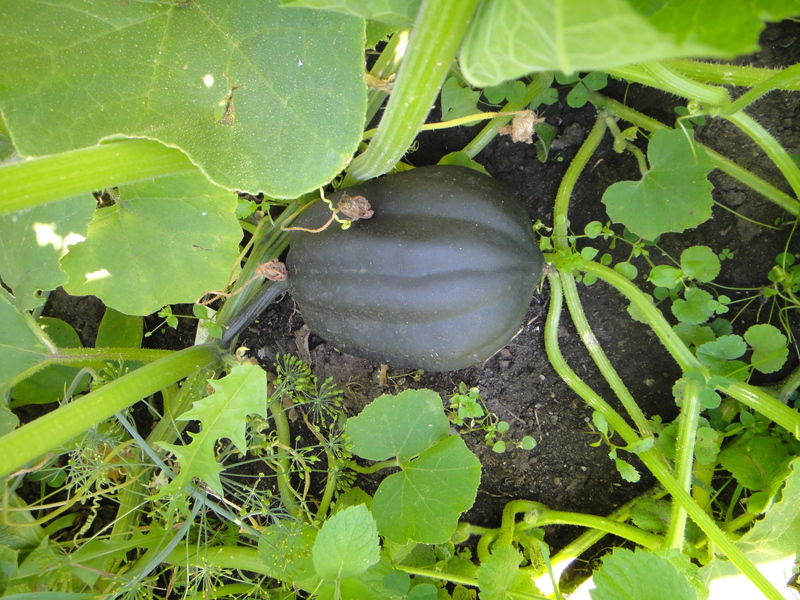 It’s almost impossible to see where it starts and where the acorn squash next to it ends. 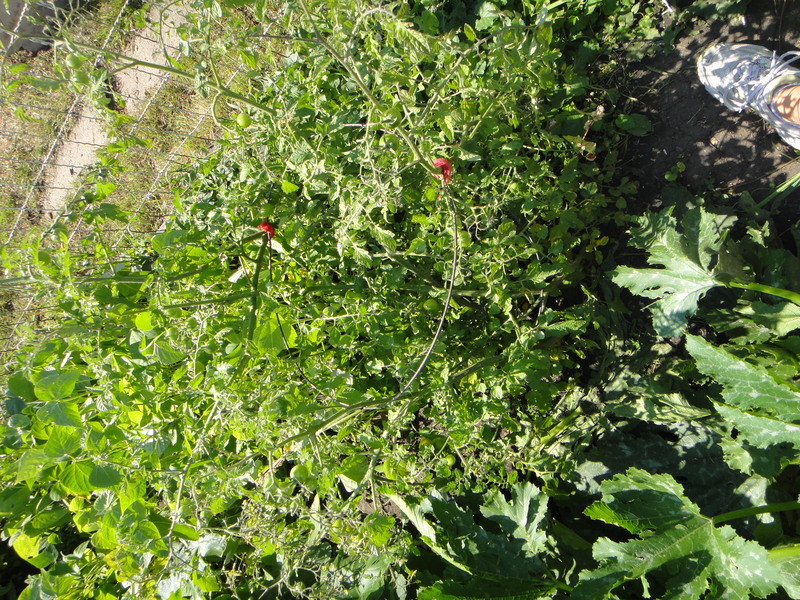 Here’s the tomato plant, growing out of it’s cage. Here’s one of 6 (!) 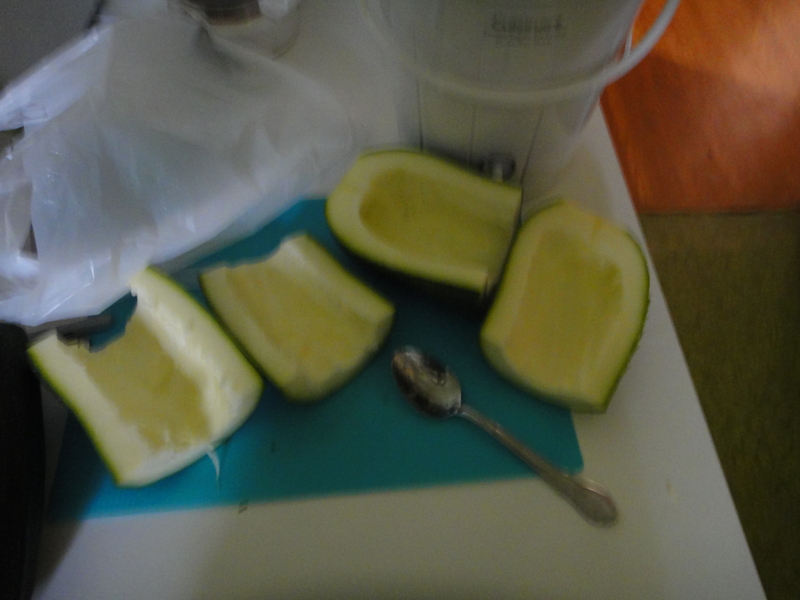 acorn squash! It’s been a good squash summer, that’s for sure! Here are two acorns, growing together. 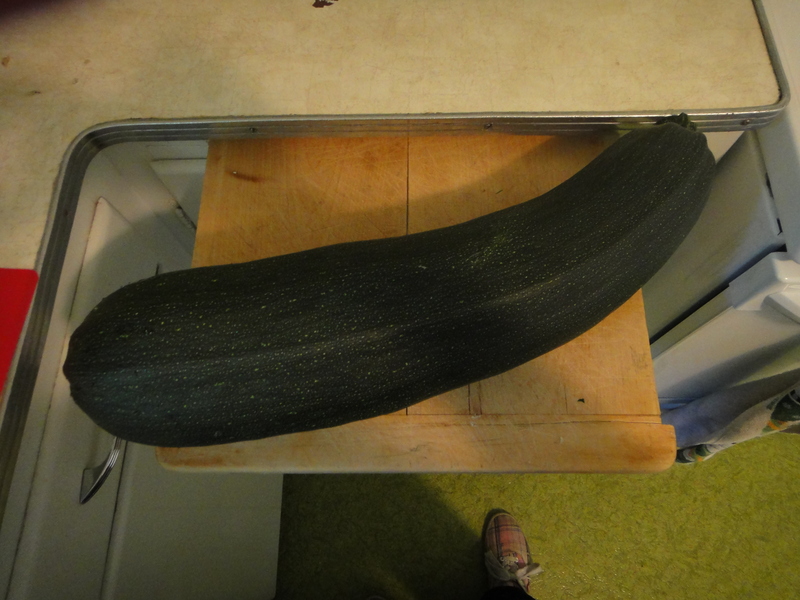 And finally, one of our monster zucchinis. We’ve had so many this summer that I’ve been giving them away! 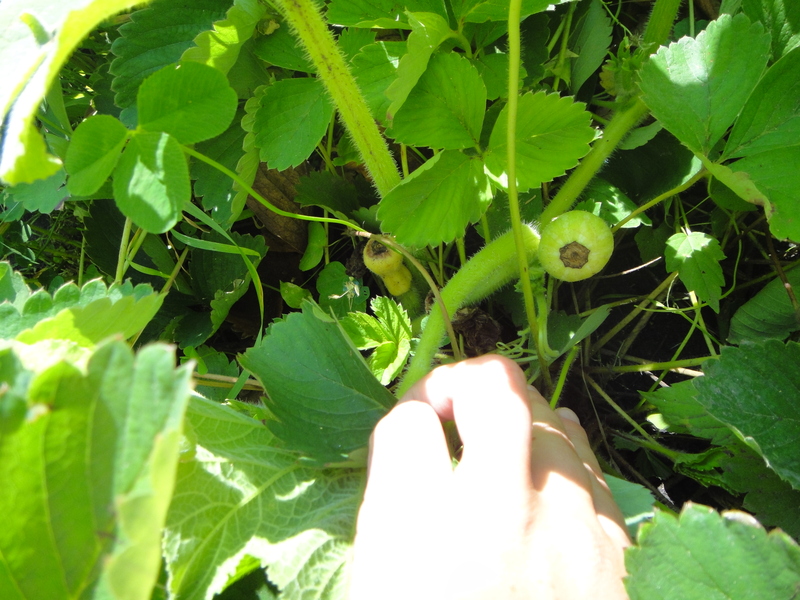 I will be doing one last post on the garden this year, and it will be all about the harvest. Looking forward to snapping some harvest shots! Until then, happy growing! As a celebration of summer, I decided to make a tasty delicious treat! 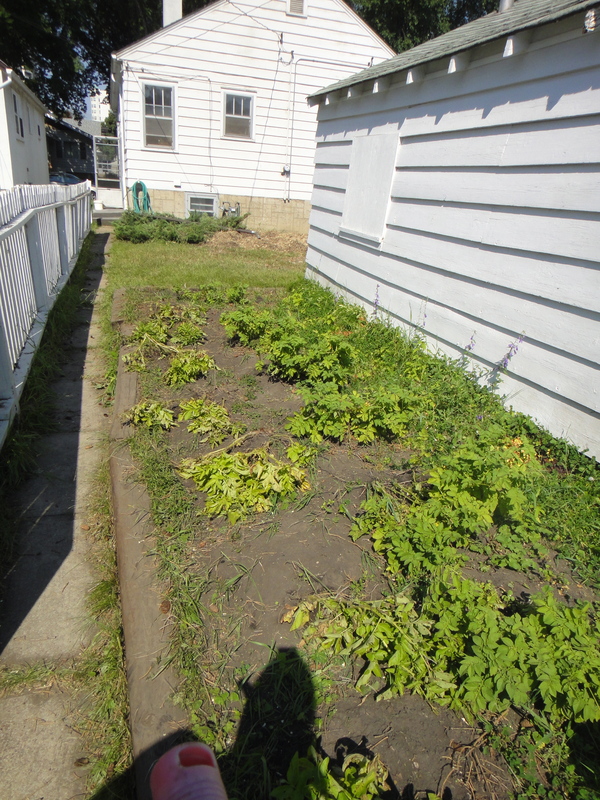 Justin and I did a raspberry pick with Operation Fruit Rescue Edmonton and walked away with a tasty haul-o-raspberries! 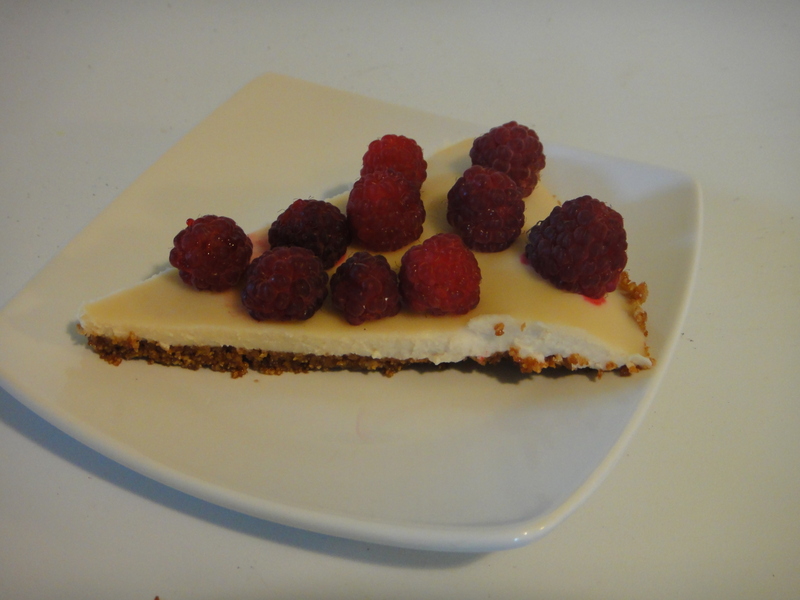 If you have a bunch of raspberries and are at a loss on what to do with them, aside from eating them, try this out! This recipe does not disappoint! The crust is very simple. 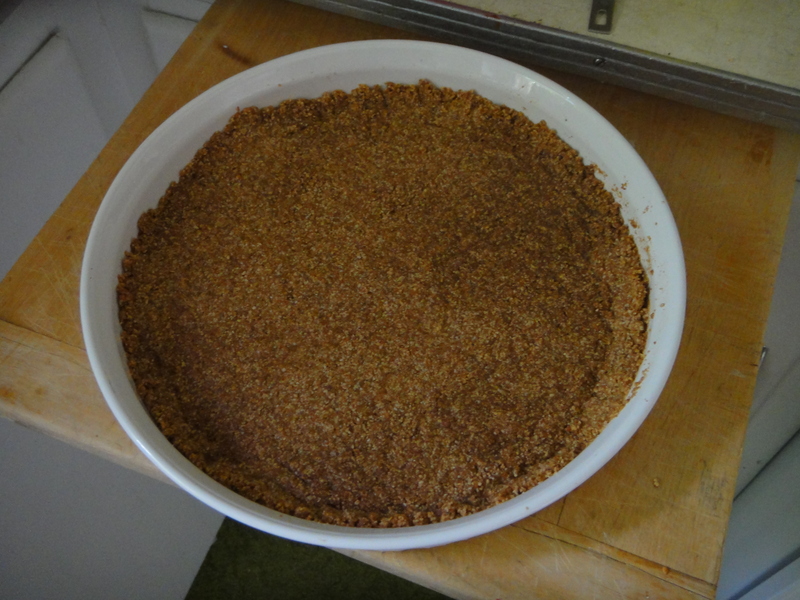 I used slivered almonds and threw in a few graham crackers. Don’t have graham crackers? Use Maria crackers instead! Into the handy dandy food processor it goes! Mix with butter and form a pie crust. The filling is super easy. It’s whip cream and white chocolate, and some lemon juice. That’s it! Bake the pie crust until it is golden brown, like this guy. 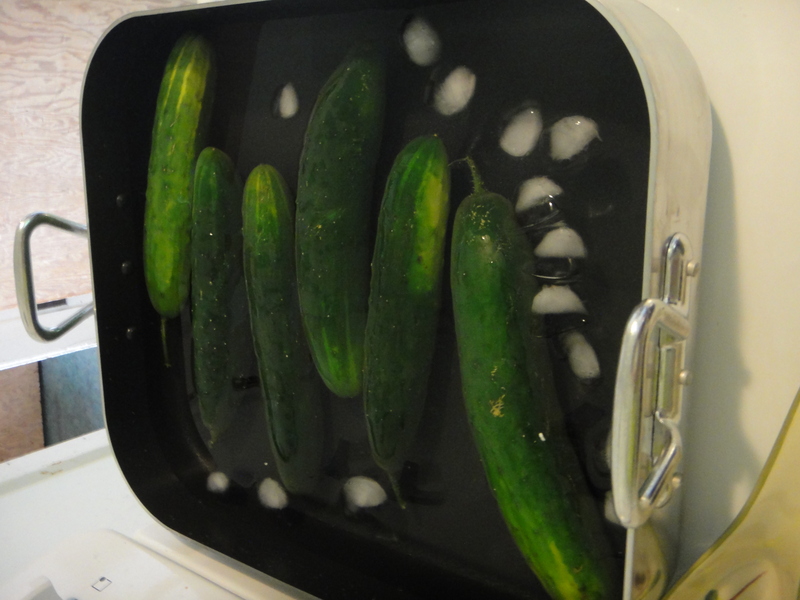 Pour in your filling and chill in the fridge for at least 2 hrs. Take a look at that beaut! Preheat oven to 325. In a blender or food processor, whirl almonds and graham crackers with 2 tablespoons sugar until finely ground. 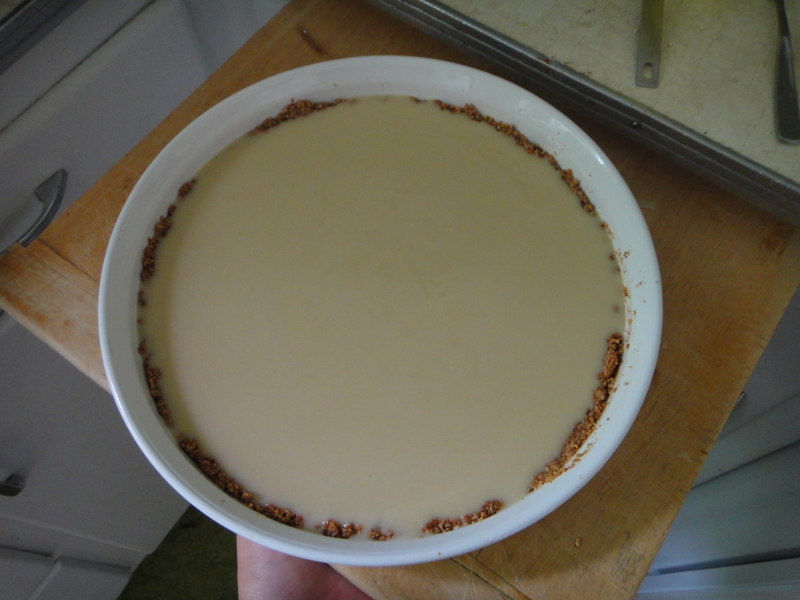 Pour nut mixture into a 9-inch tart pan with a removable rim. Add butter and rub with fingers until mixture forms fine crumbs. 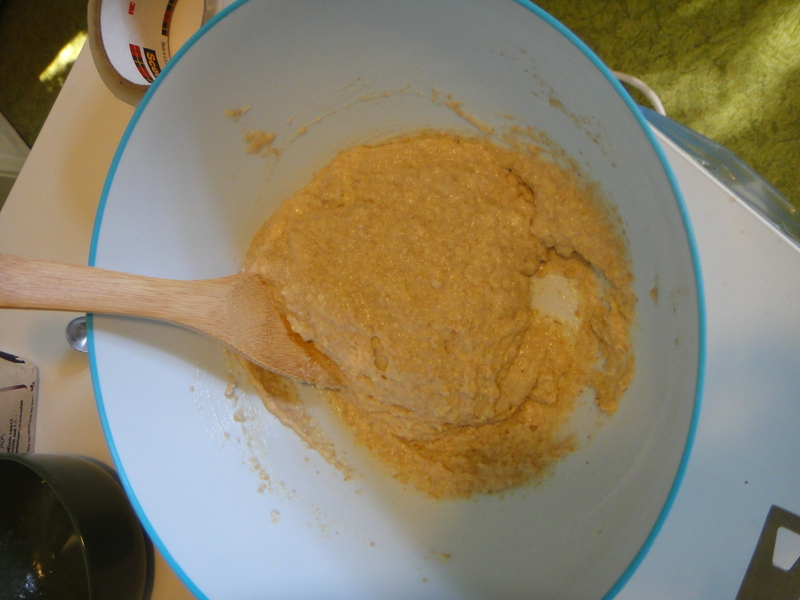 Press nut mixture evenly over bottom and up side of pan until flush with rim. Bake crust in a 325° oven until dark gold, about 20 minutes. Let cool when ready. While the crust is baking, combine cream and chocolate in a pot over medium heat and stir until smoothly melted, about 2 minutes. Stir in lemon juice. Evenly spoon into crust. 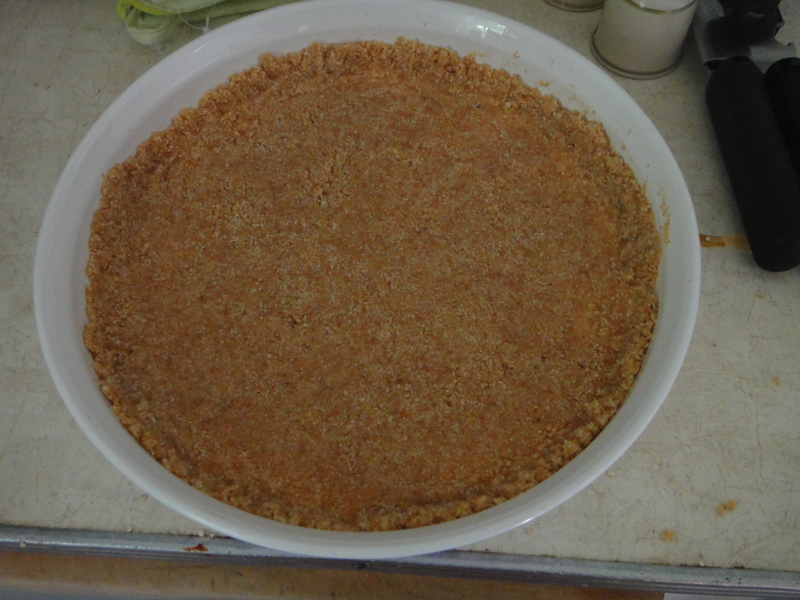 Chill tart until filling is firm to touch, 1 to 1 1/4 hours. 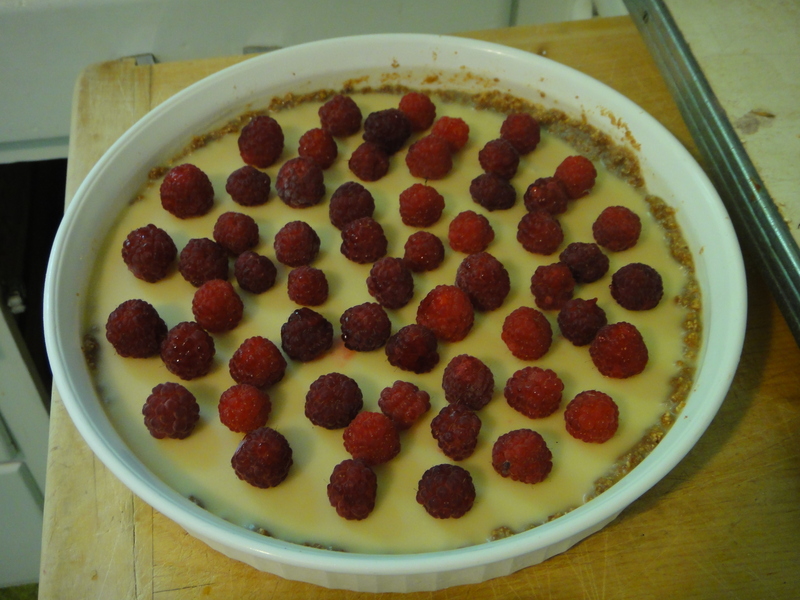 Arrange red raspberries in a single layer on filling. Serve and enjoy! My friend brought over some beets from his garden the other day, and to be honest, I had no idea what to do with them. I actually quite dislike beets on their own. They taste very much like… beets. Bleugh! 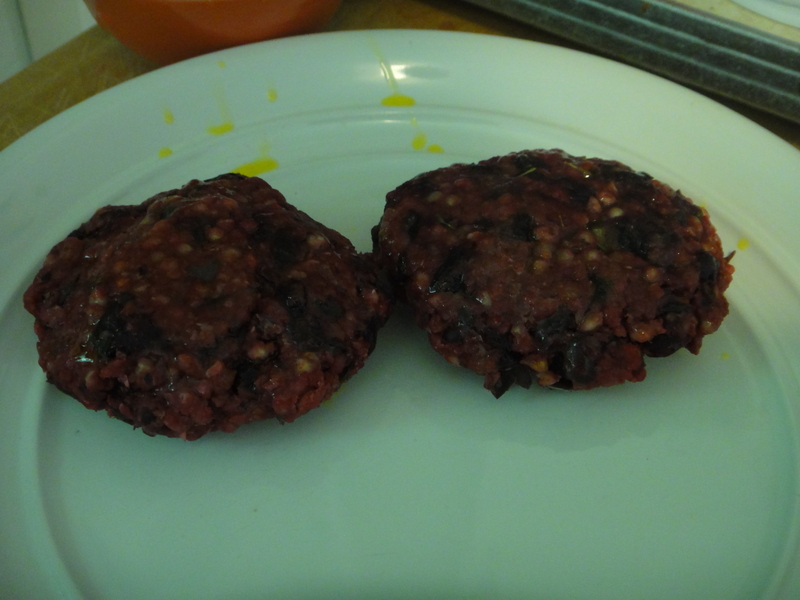 I really like the veggie burgers from the Blue Plate Diner, and I know that they have beets in them (hence the scary raw ground beef colouring! 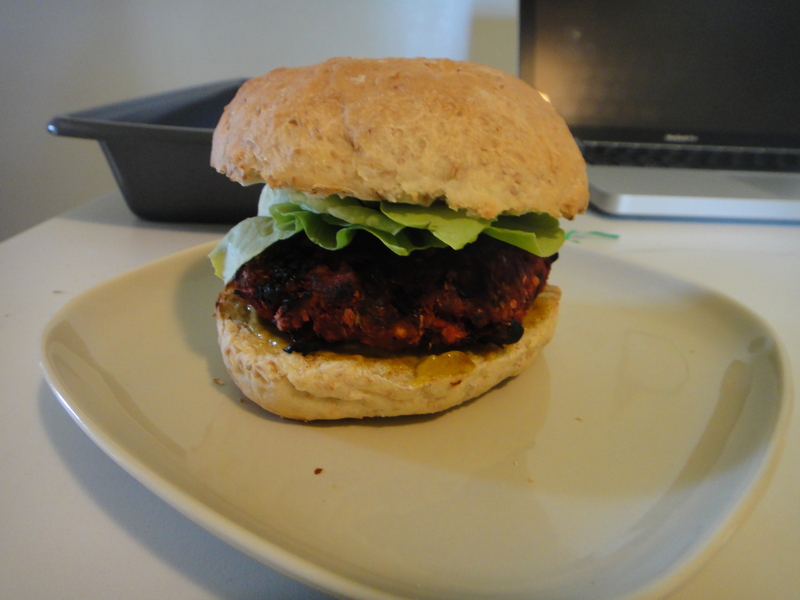 ), so I thought I’d try my hand at incorporating this gift into some tasty veggie burgers on my own. 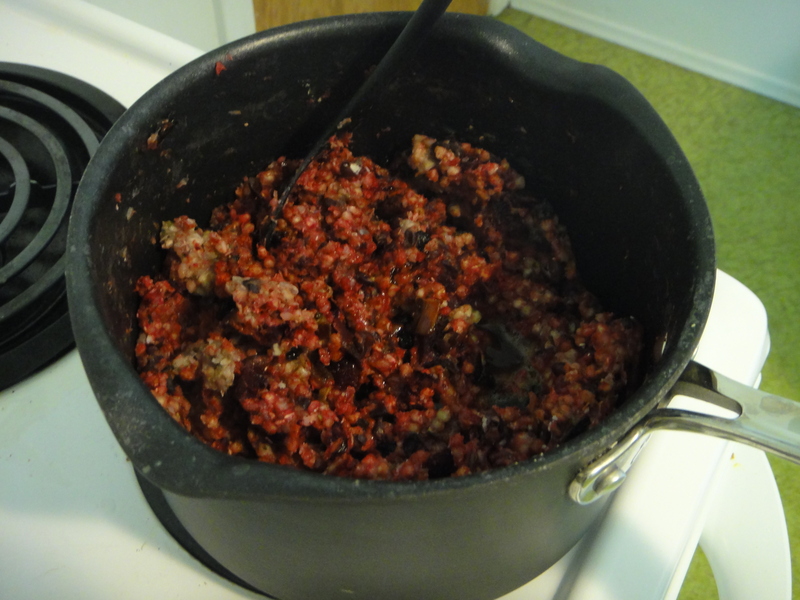 Here are the bulk of my ingredients: Beets, red onions, and buckwheat groats from Gold Forest Grains. 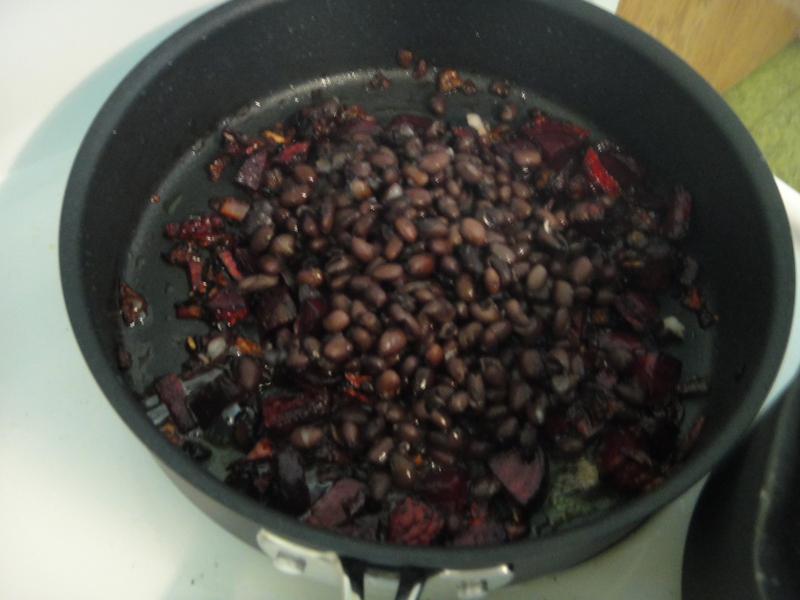 Once the beets were soft, add in some black beans and garlic. Mix it all together with the cooked groats. 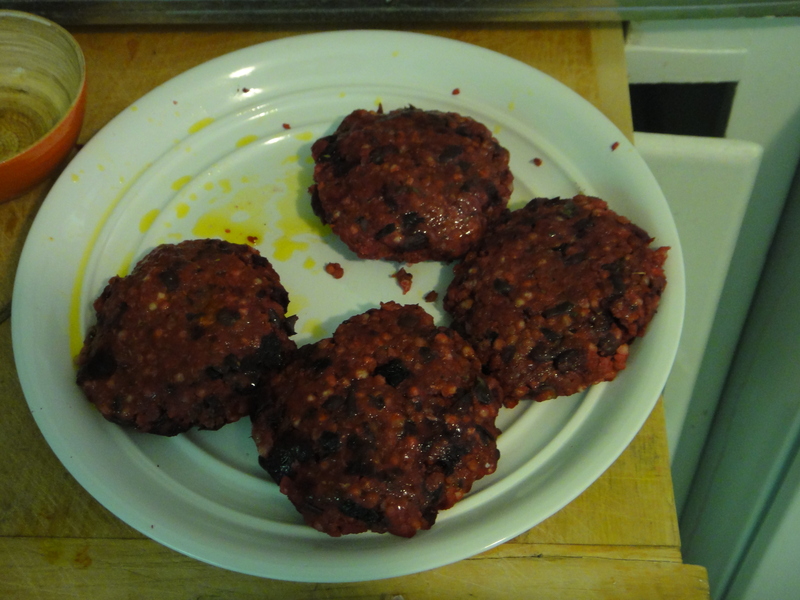 Make sure to brush the patties with oil before putting them on the grill. You don’t want these babies to stick! Here they are once they are cooked! I think this recipe is a keeper, don’t you? 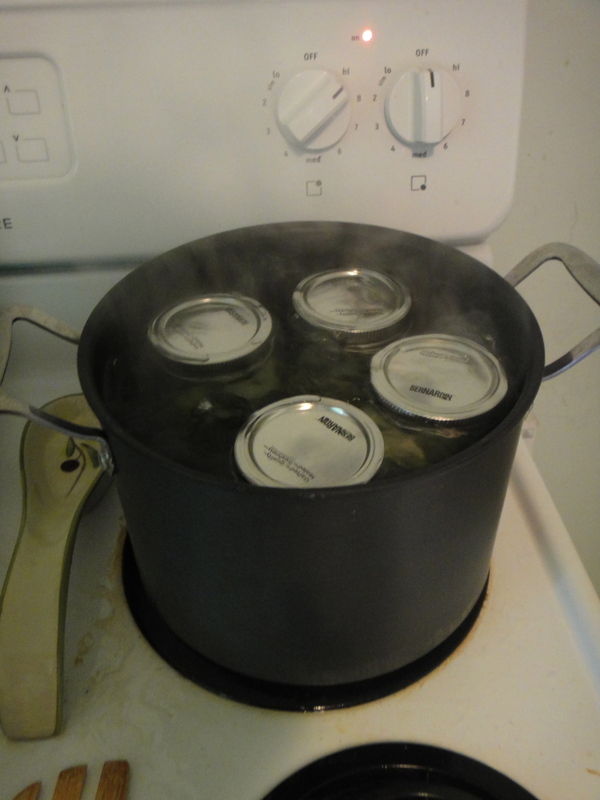 Bring groats and 2 cups of water to a boil over high heat. 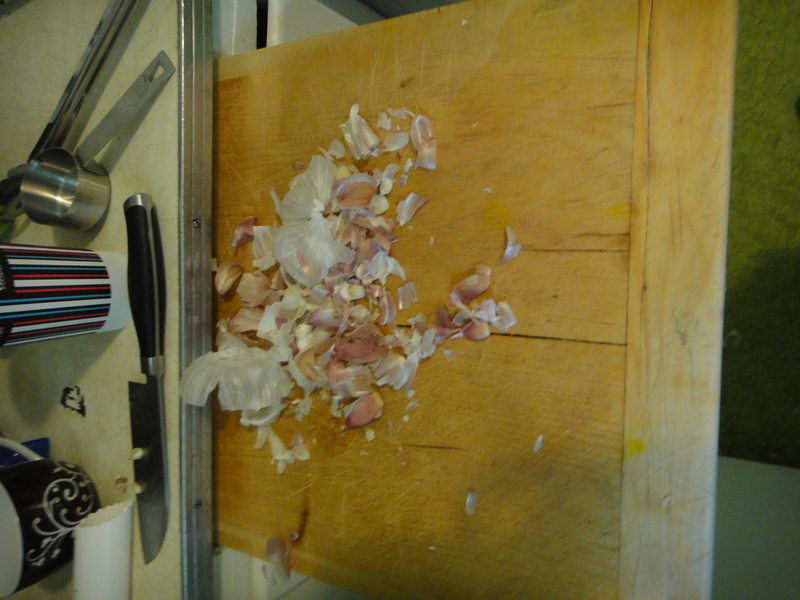 Reduce heat to med-low and simmer until groats are cooked but still tender. 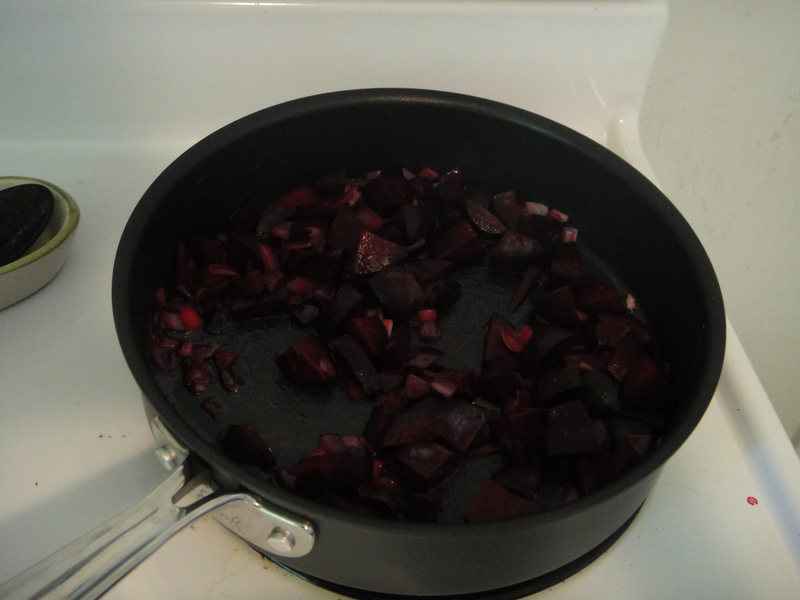 Meanwhile, saute onion and beets together with some butter until the beets are tender. 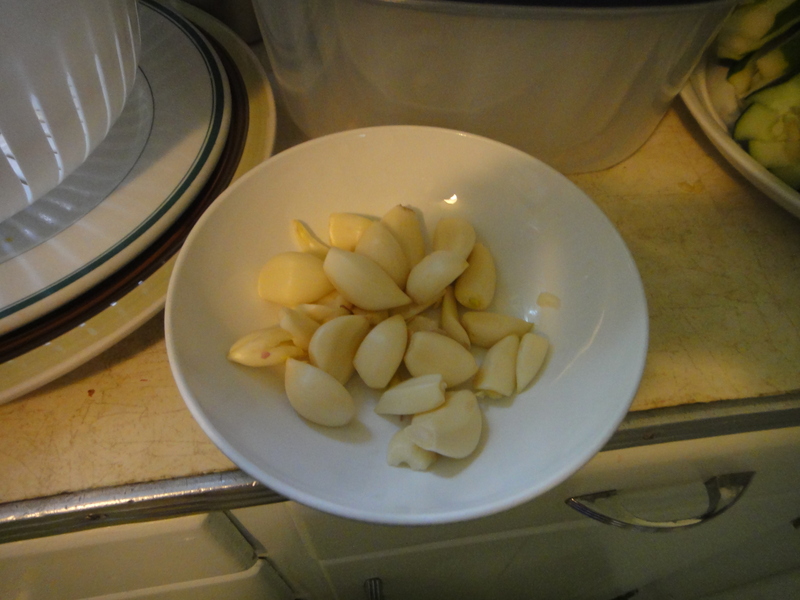 Add black bans and garlic and saute for about 1-2 minutes. Transfer to the groat pot. 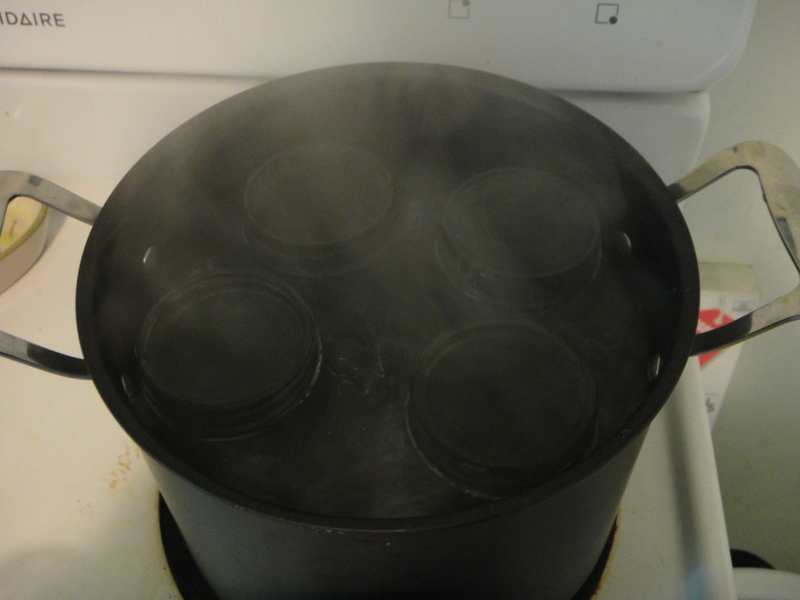 De-glaze pan with cider vinegar and add to groats. Mix in breadcrumbs until the mixture is easy to handle. Let cool, then begin forming patties. Brush patties with oil before cooking on the grill. 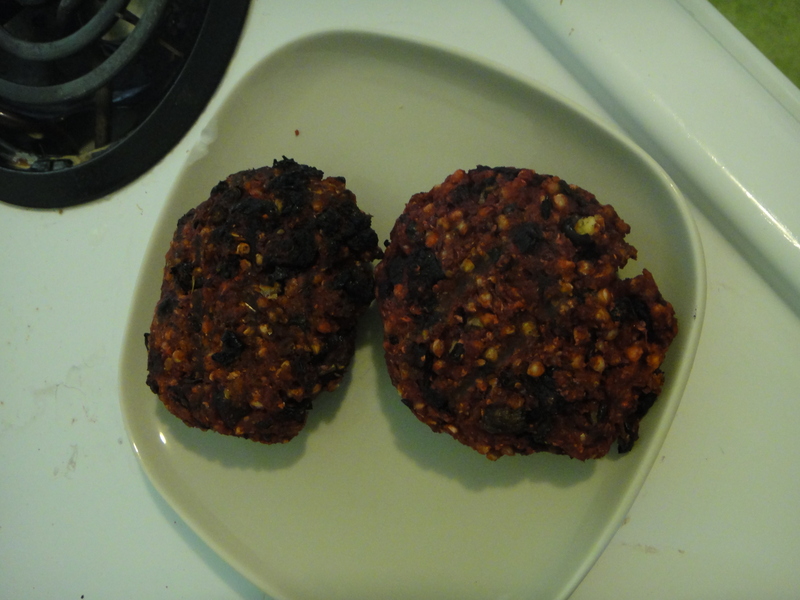 Grill until a soft char develops on both sides of the patties. Serve immediately. Freeze extra uncooked patties between wax paper in a plastic bag. Enjoy! 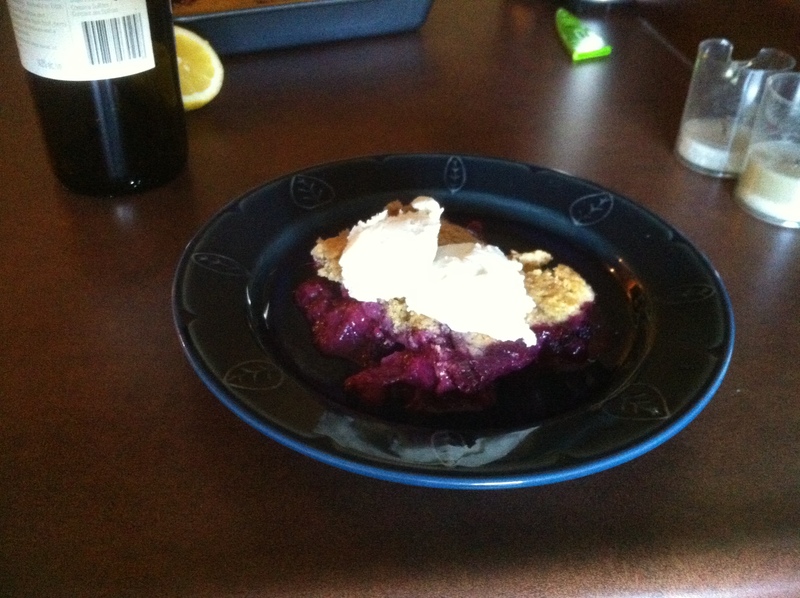 It seems like every desert I make these days either has rhubarb in it, or is a delicious type of ice cream. 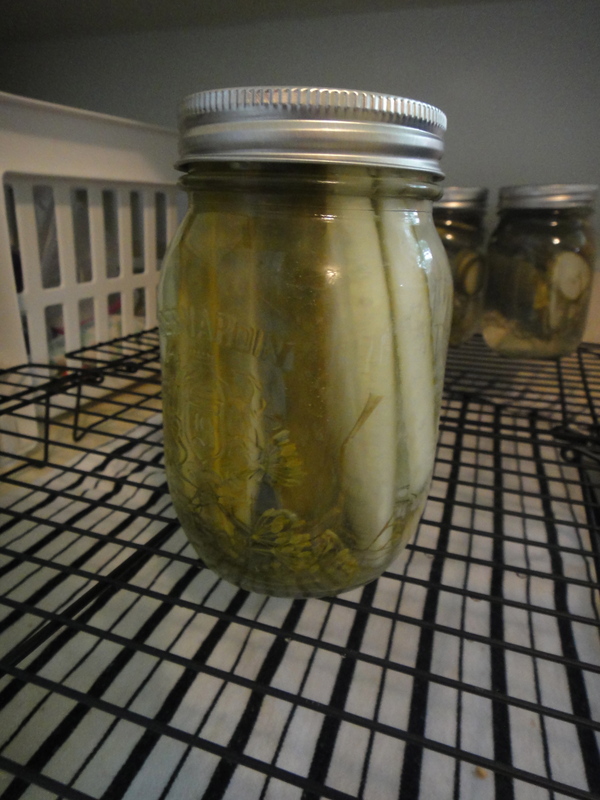 I’m trying to find new and creative ways to get rid of the massive amount of rhubarb we’ve been growing in the garden. Here’s yet another rhubarb recipe. 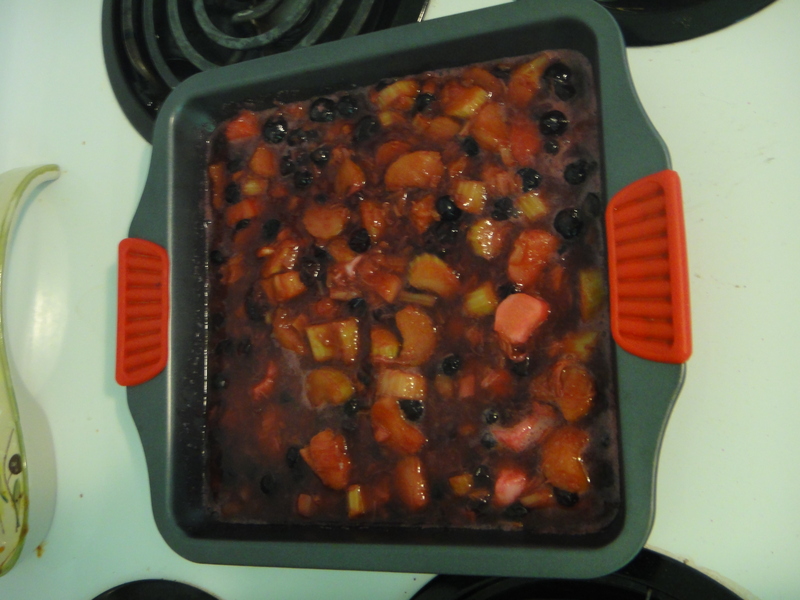 I’ve heard of peach cobbler, but never blueberry rhubarb. 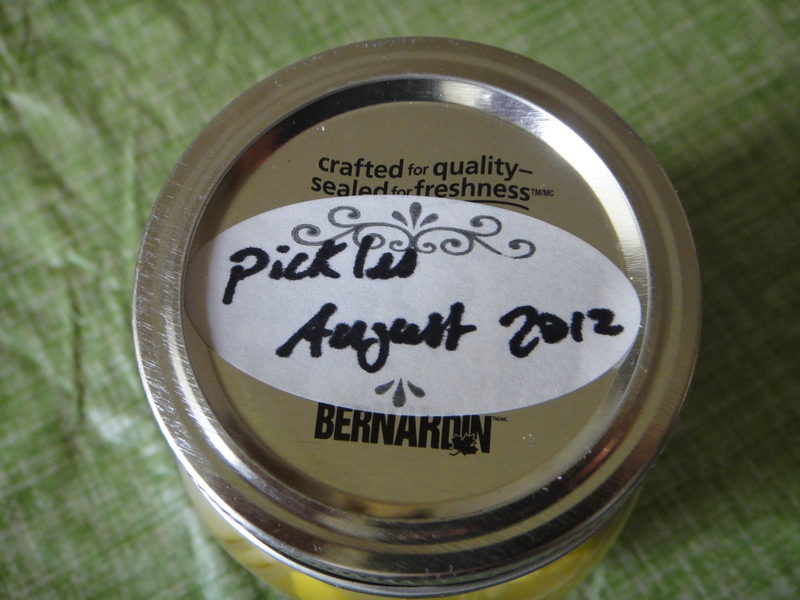 Well, that’s what I had in the fridge, and that was what would go bad next, so I went out on a limb and combined them. It was fabulous. Take a look at these contrasting colours! So beautiful. 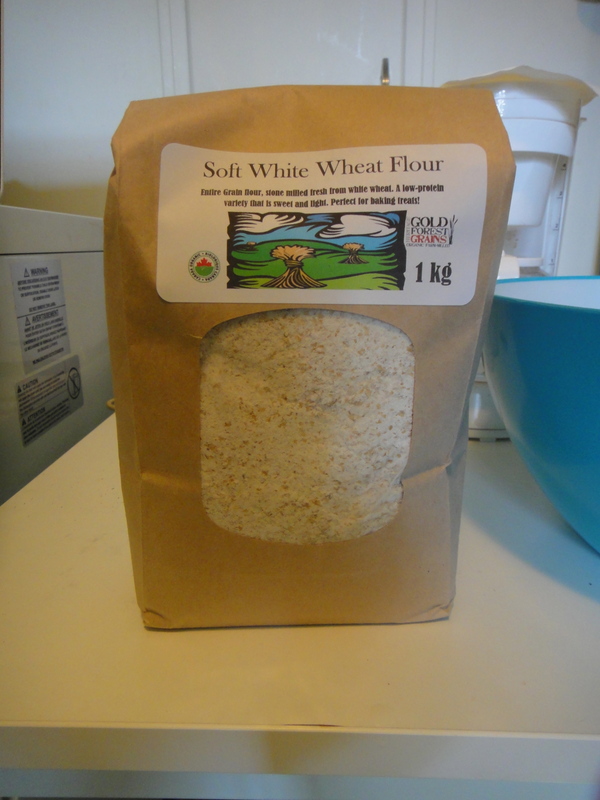 Of course I used Soft White Wheat from Gold Forest Grains. Here’s the tasty and delicious batter. And the end result. Delicious! Top with some Ice Cream, and you’re good to go! 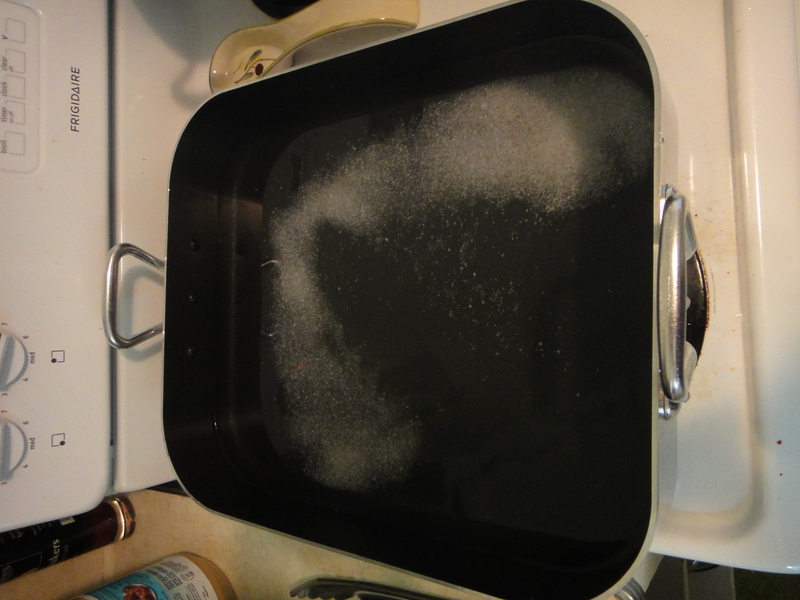 For filling, in a medium saucepan stir together brown sugar and cornstarch; stir in water. 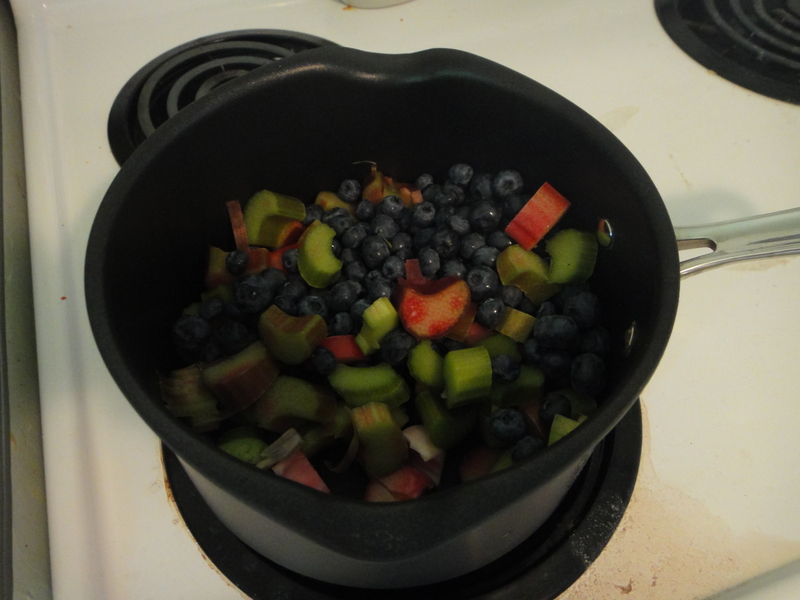 Add rhubarb and blueberries. Cook and stir over medium heat until thickened and bubbly. Add the 1 tablespoon butter and the lemon juice; stir until butter melts. Pour into an ungreased 1-1/2-quart casserole. While the filling is cooking, make the topping. For topping, stir together flour, the 1/2 cup granulated sugar, and the baking powder. 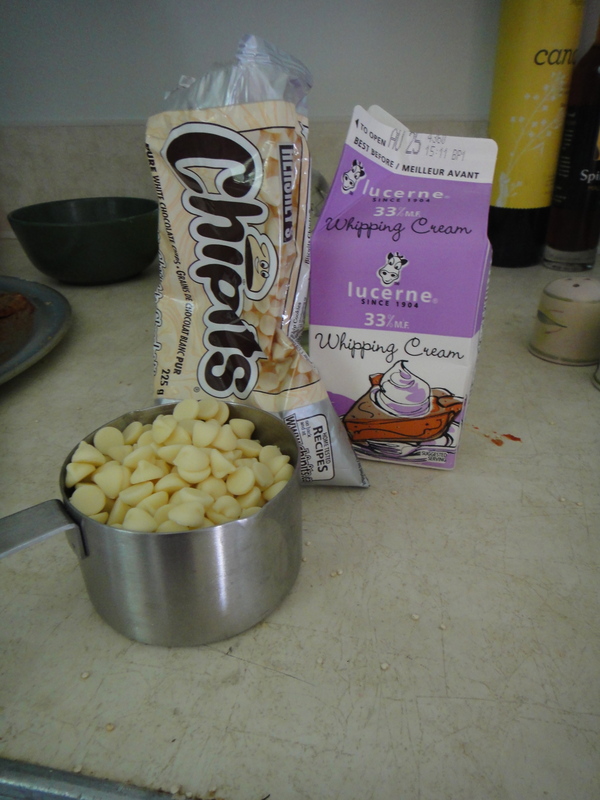 Add milk and the 1/4 cup butter all at once. Stir until smooth. 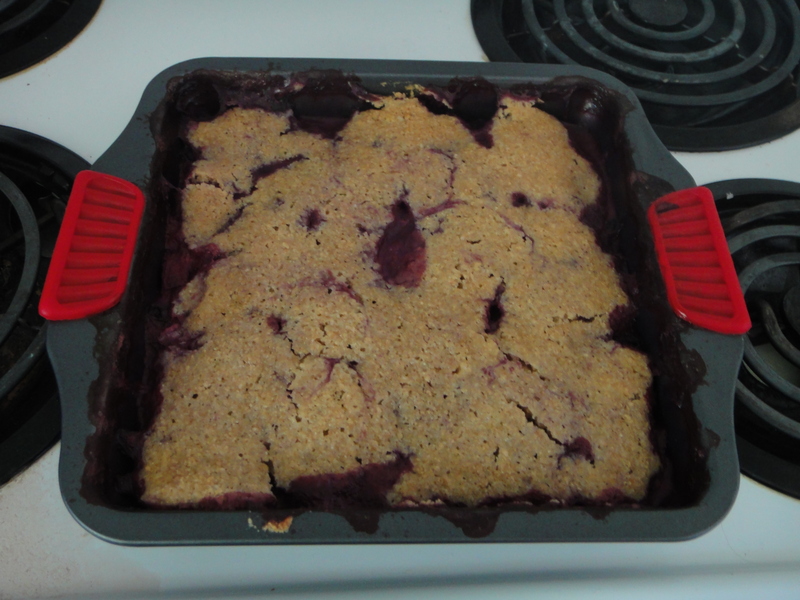 Spoon topping in mounds over hot filling; spread evenly over filling. Sprinkle with a mixture of the 2 tablespoons coarse sugar and the nutmeg and/or cinnamon. 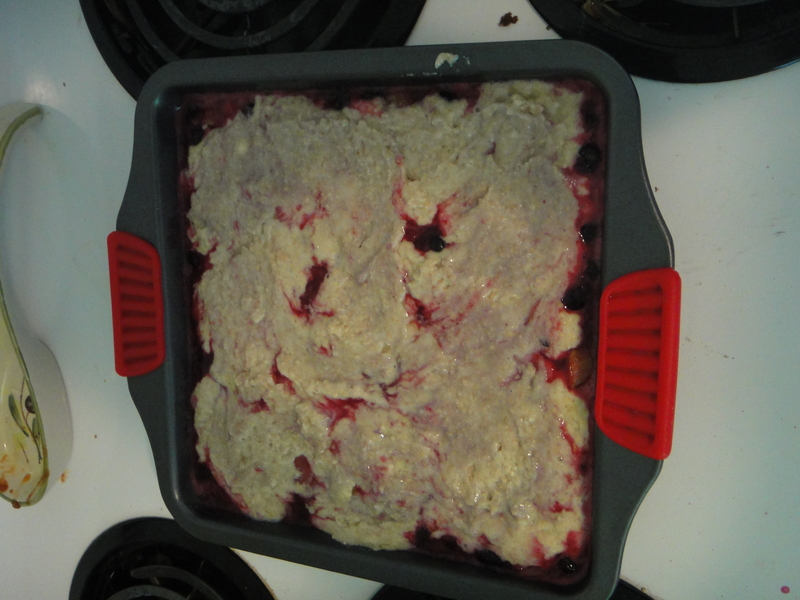 Bake cobbler in a 350 degree F. oven about 35 minutes or until bubbly and a toothpick inserted into topper comes out clean. Serve warm with ice cream, if desired. Makes 6 servings. Alrighty. 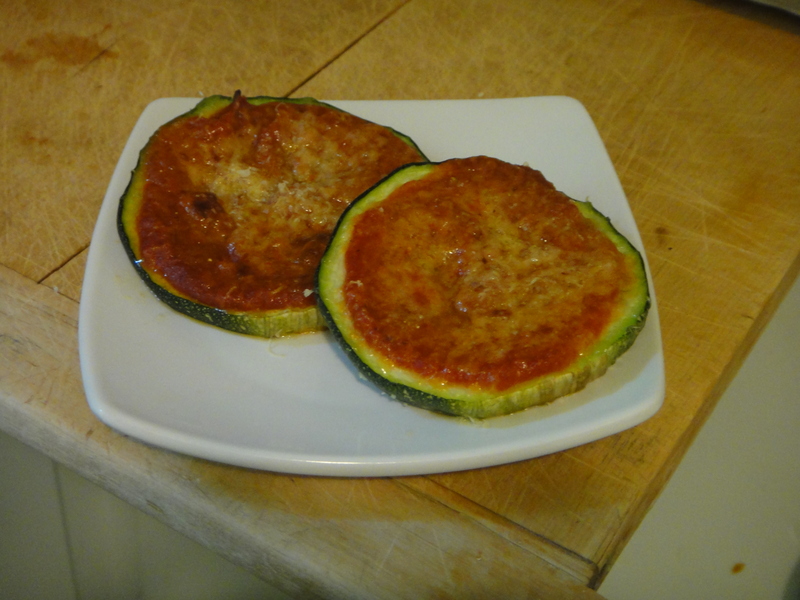 It’s time for another zucchini inspired post. 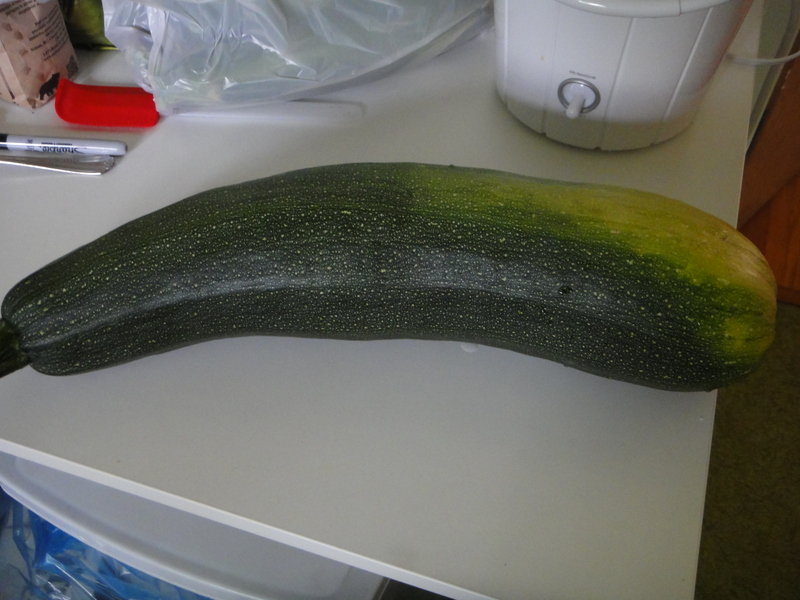 What with all the monster zucchinis I keep growing in my garden, I am going to have to work extra hard to try and eat them all, so my freezer doesn’t explode! 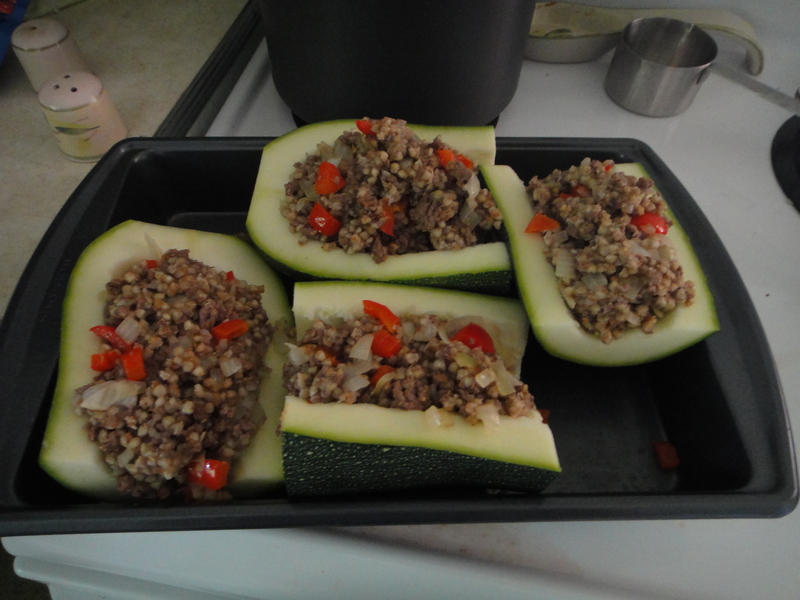 Here’s another awesome recipe you can use to try and get rid of some of your zucchini. 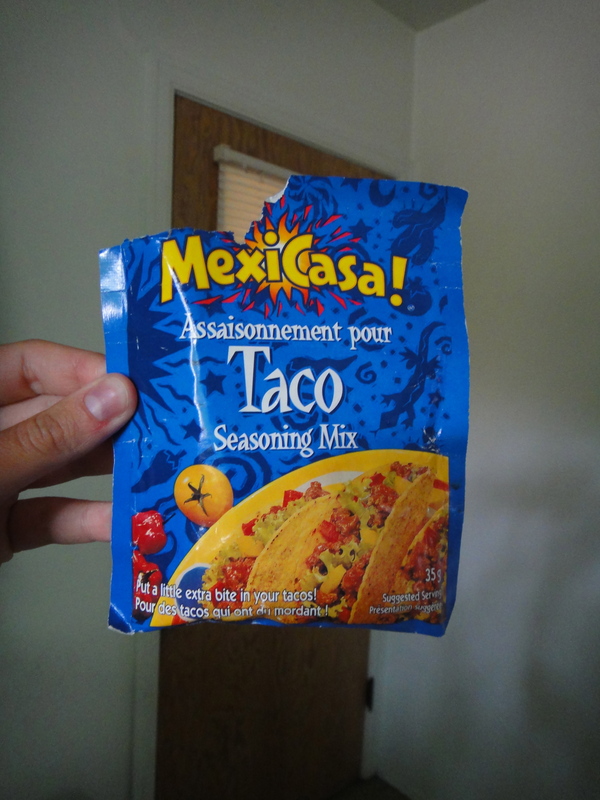 It’s super easy and very tasty too. 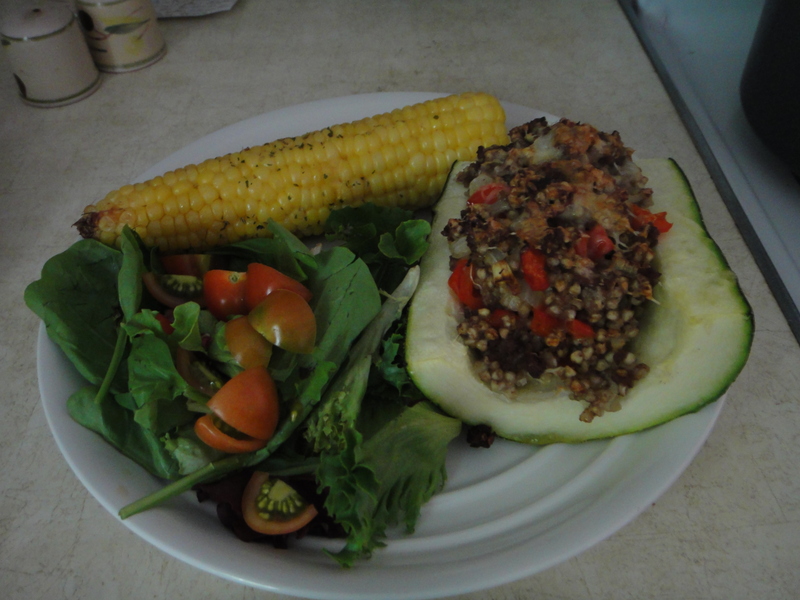 I decided to stuff my zucchini boats with tasty organic buckwheat groats from Gold Forest Grains. You can use them just like rice, but they are heartier and tastier than rice, in my opinion. 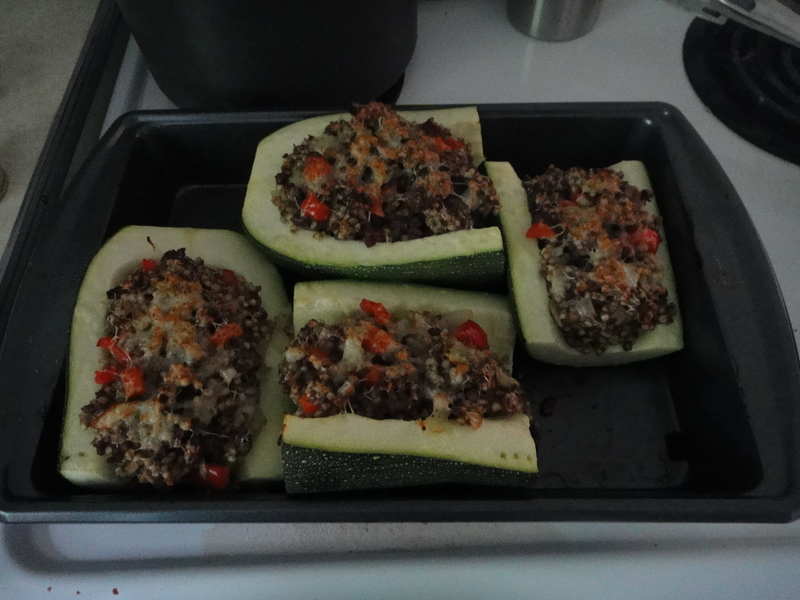 I also cooked up some ground beef to go along with it! 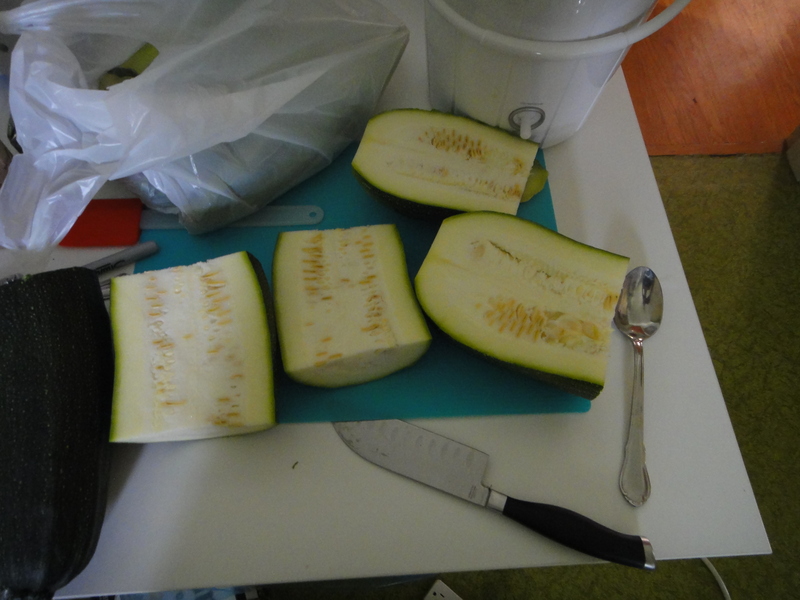 Next, I took yet another monster zucchini from the garden and sliced it into boats. 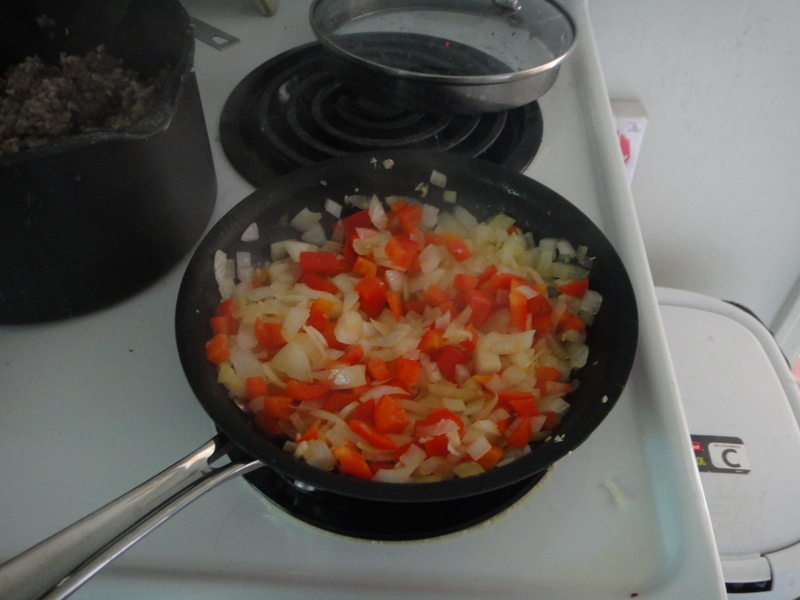 I also sauteed up some peppers and onions to be mixed in with the rest. And then and I mixed it all together. Then it was time to stuff the boats! 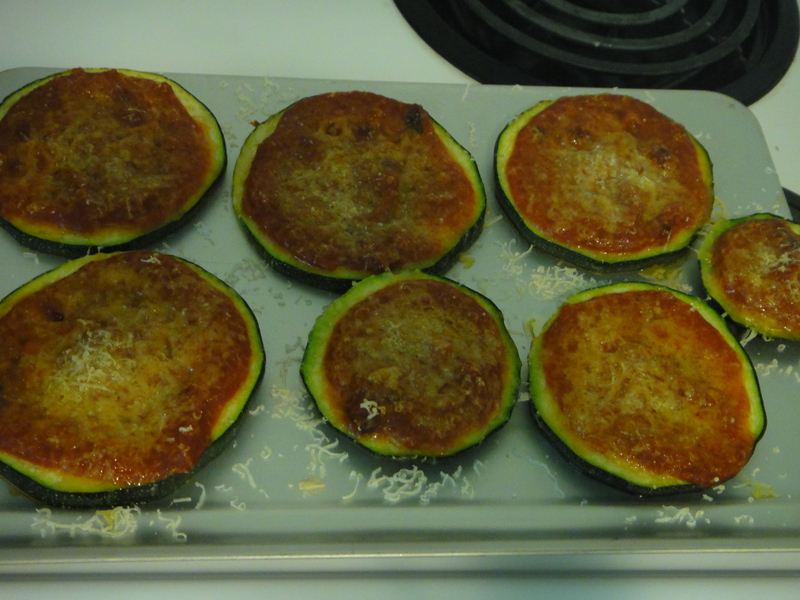 And then bake them until the zucchini is tender! Serve as a main, and enjoy! Preheat oven to 400. 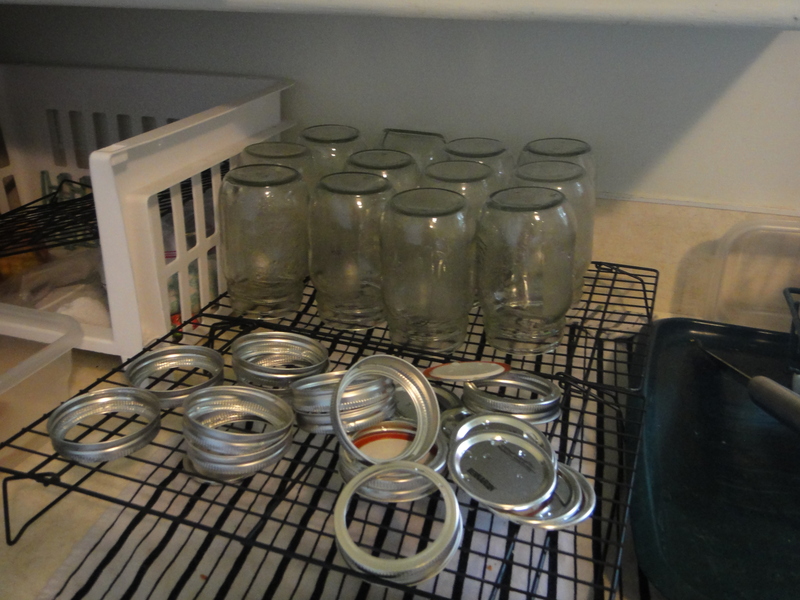 Begin preparing groats. 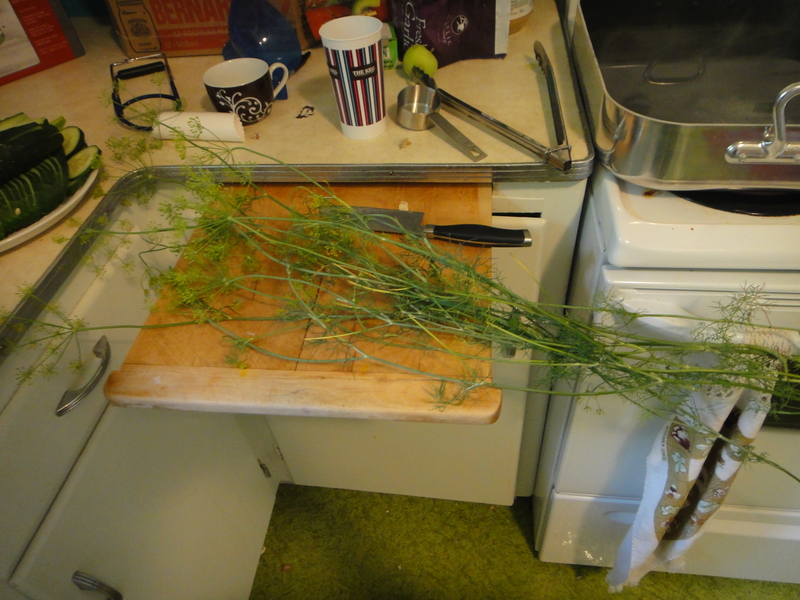 Bring groats and 2.5 cups of water to a boil over medium-high heat. 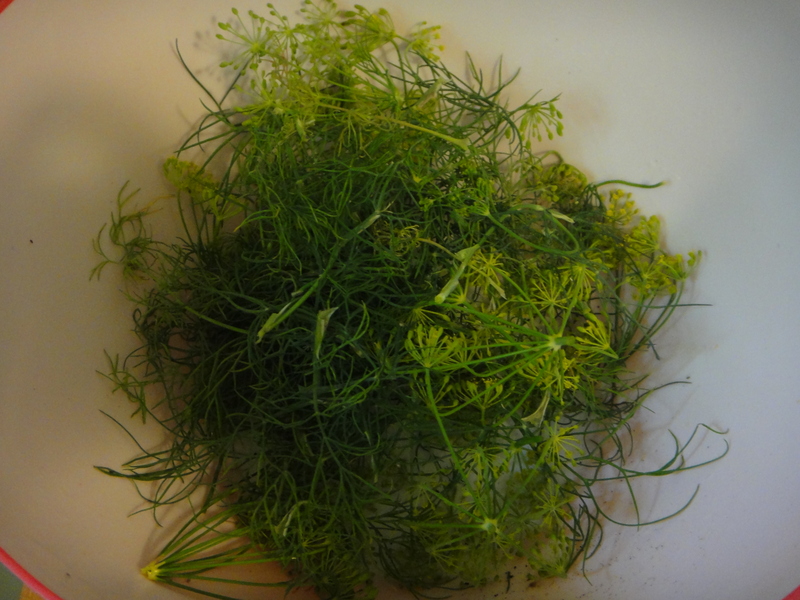 Reduce to a simmer and cook until groats are tender. Brown ground beef with seasoning. 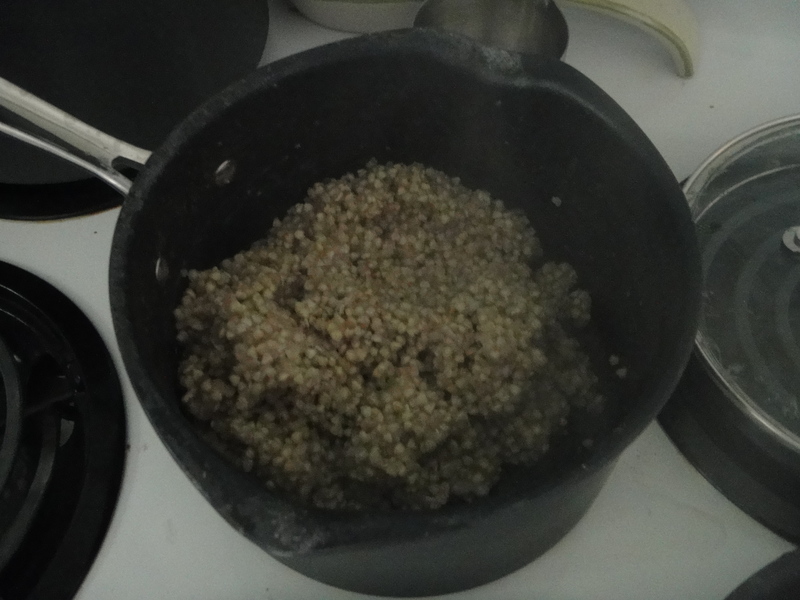 Add to groats when browned. 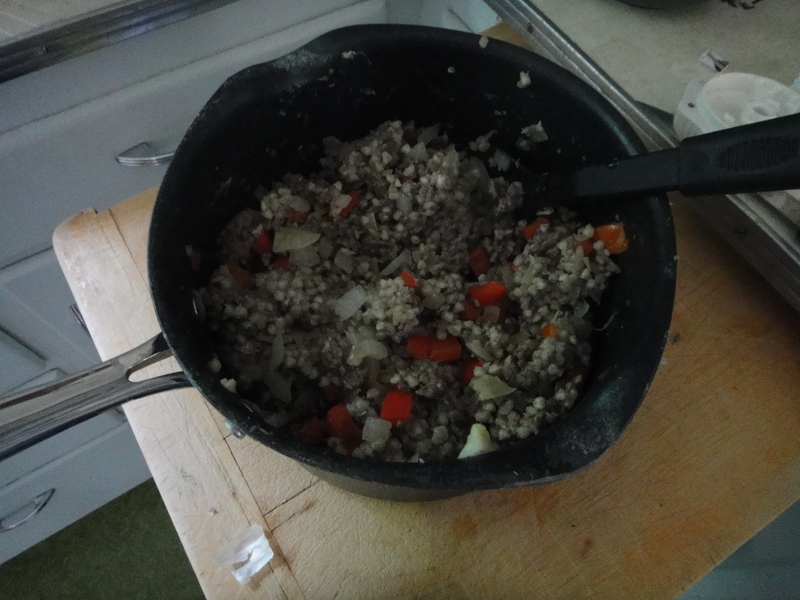 Saute diced onion and pepper with garlic, and add to groats and ground beef. Mix well. 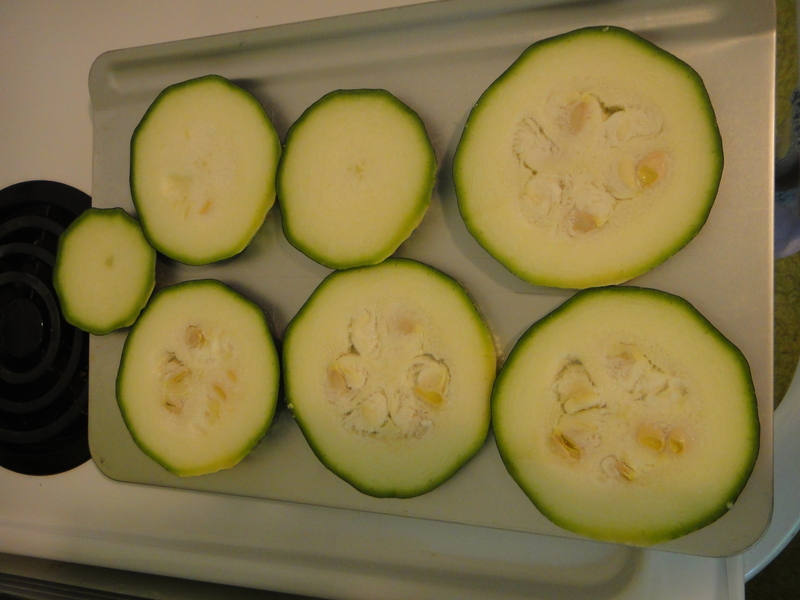 Cut zucchini into “boats” and hollow out each section by removing the seeds. Stuff boats and top with shredded cheese. 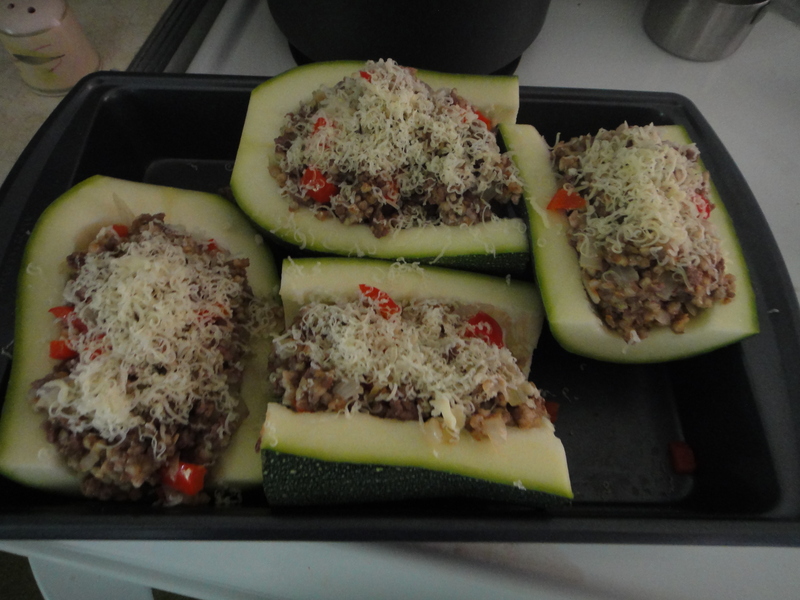 Bake for 20-25 mins, or until zucchini is tender. Enjoy! 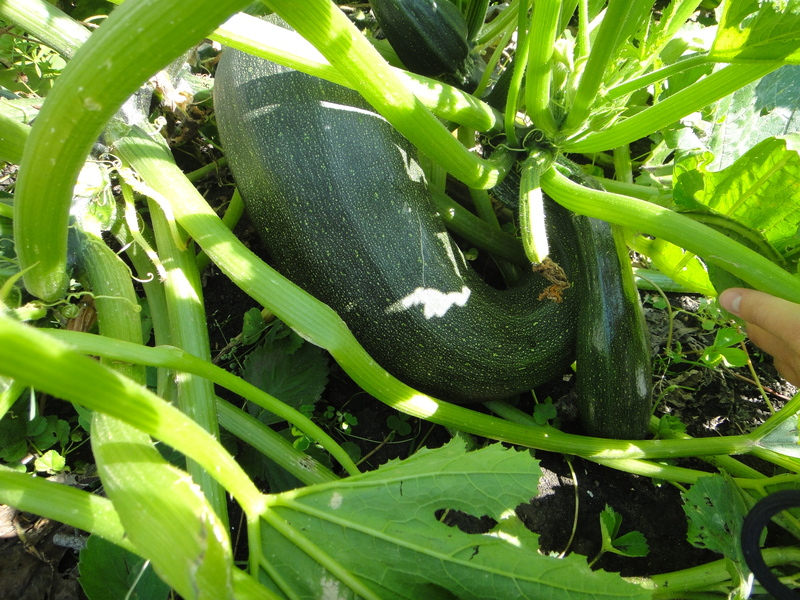 The zucchinis are taking over the garden! We’ve been having a pretty marvelous growing season, to say the least. Just take a look at that Zuch! It was pretty much the size of my arm, if not bigger. 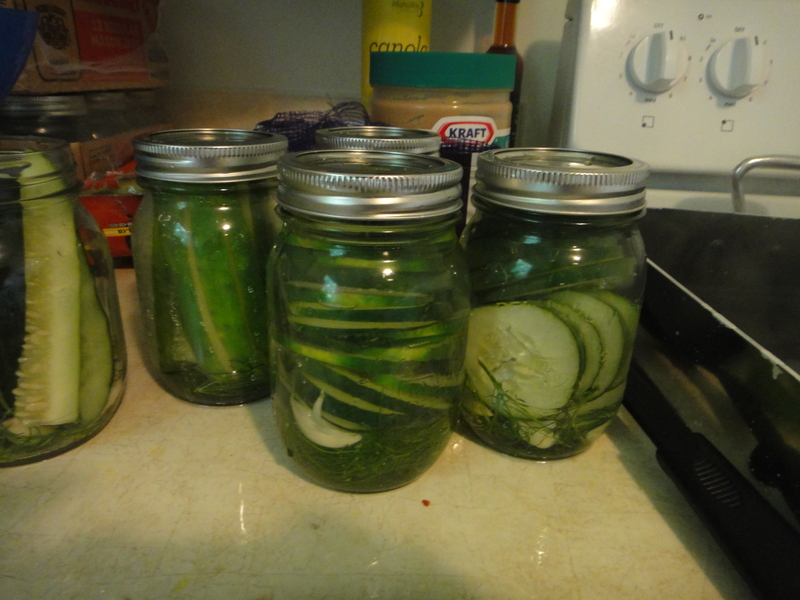 Now what to do with all this zucchini, you ask? Ah, well – You’ve got to be creative! There are so many things you can do with zucchini, and thank goodness! If it wasn’t versatile, I’d have no idea what to do with these beasts! Yep! This guy is a monster. Next, take out your favourite marinara sauce. Cover each pizza with sauce. 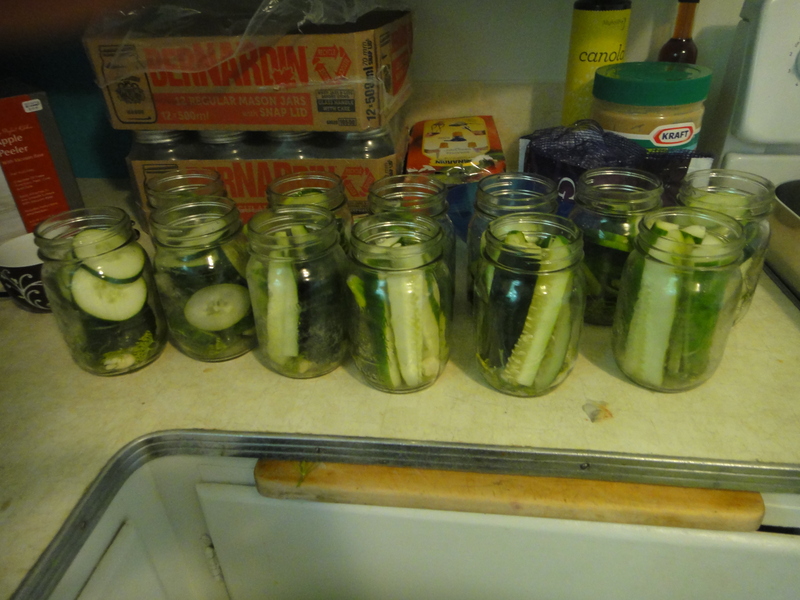 You can also add anything else you’d like to these, like peperoni, or any other veggies. I decided to keep it simple. 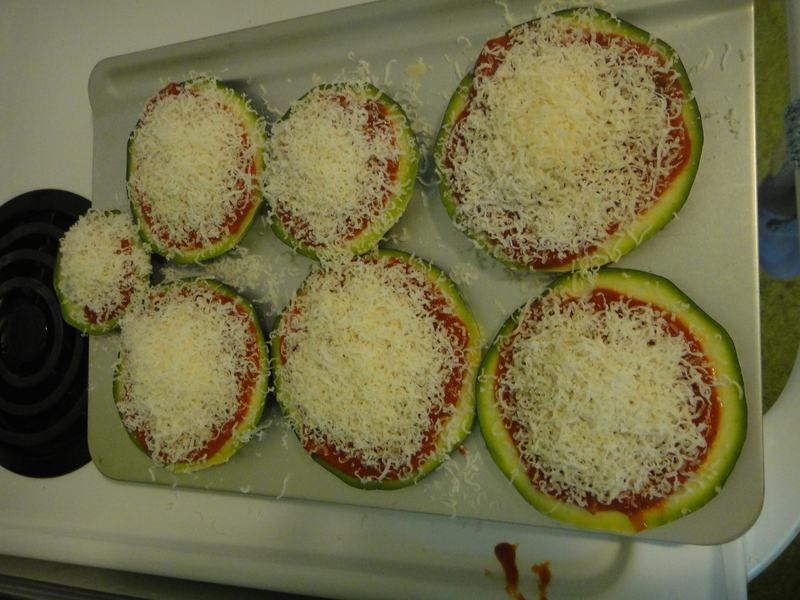 And then sprinkle with cheese! Bake at 375 for 20-25 mins, or until cheese is bubbly. 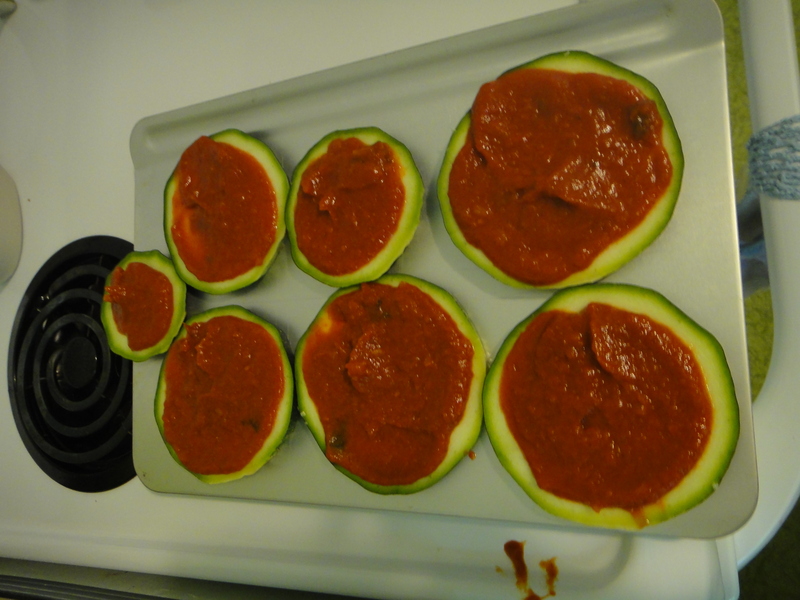 These worked perfectly to cut and freeze for another pizza adventure. Enjoy, a lot! 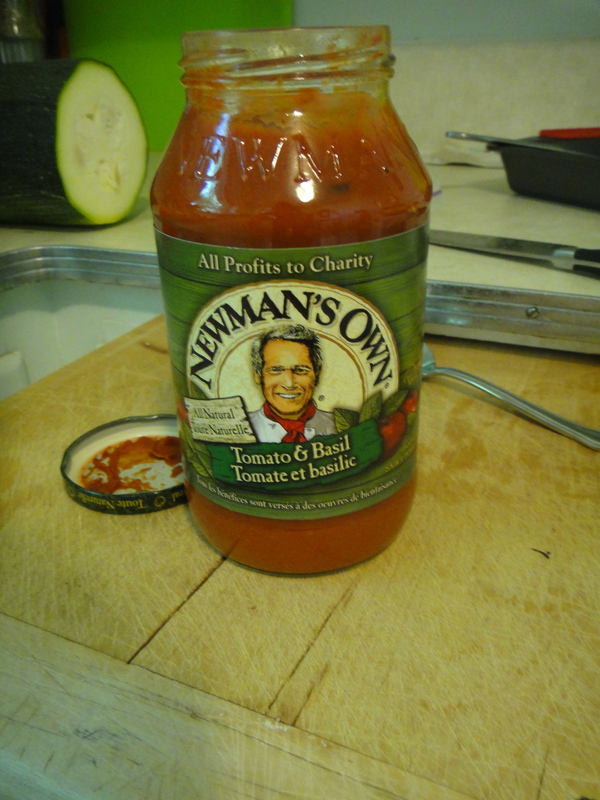 It was like eating amazing spaghetti sauce, sans spaghetti. 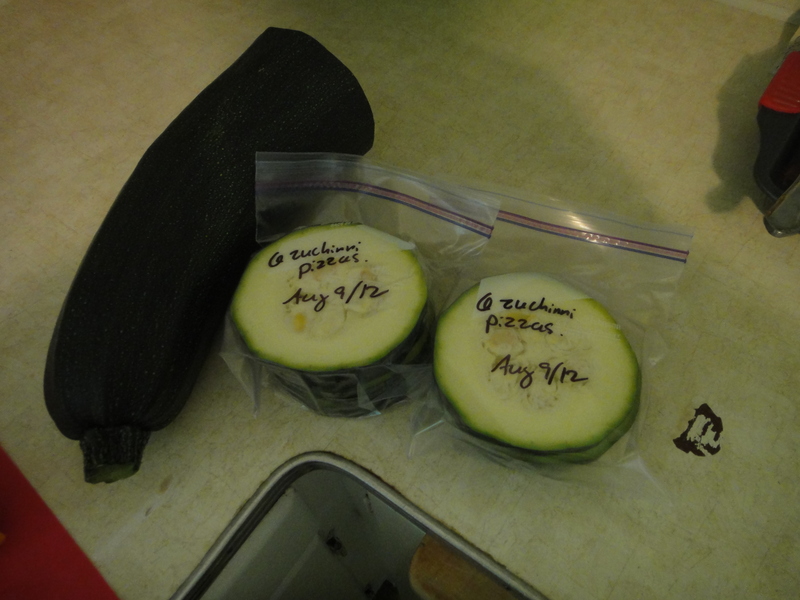 Slice zucchini into rounds. Top with marinara sauce. Top with cheese. 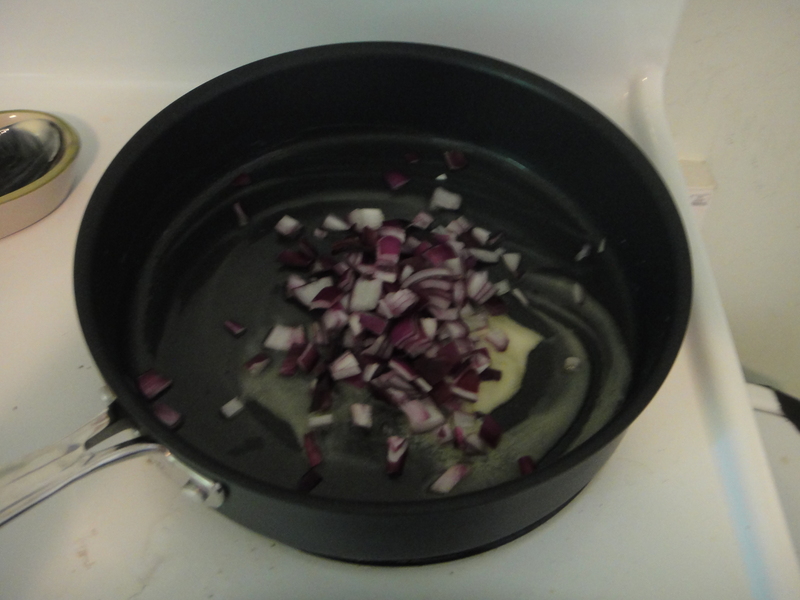 Bake at 375 for 20-25 mins, or until the cheese is melted and golden brown. Enjoy!